Last week we reported on a leak of Nexus 6 details, which said it would have a 5.9″ QHD screen, a 3,200 mAh battery, a 13 MP camera with OIS, a 2 MP shooter on the front, fast-charging capabilities, and essentially be a stretched out Moto X (2014). We also reported on some alleged photos of the device spotted in the wild. Good news Googlers: the Wall Street Journal (WSJ) has pretty much confirmed these rumors. The WSJ says that “three people familiar with the situation” that Google expects to release the Nexus 6 this month. They also go on to talk about its screen, maker, and that the next version of Android will be released with it. Things we pretty much know at this point, but just confirming these things more than anything. I’m still interested to see how people will accept such a massive phone. The phablet market has definitely grown, which WSJ talks about in their article, and was proven by Apple finally making the switch to a bigger screen. Nevertheless, even Samsung’s newest Note is 5.7″, but has software and a stylus to make it easier to use. It will be interesting to see what happens with the release of this device, because while Google has never had huge numbers in its Nexus sales (certainly not compared to Apple or Samsung), but they have sold out several times on their last couple of phones, and manufacturers have taken cues from Google on how to build their flagships based on Nexus phones. If nothings else, we can be excited for the release of the beautiful looking Android L.
What do you think of all this? Will the Nexus 6 sell well, or will its size just be overkill? 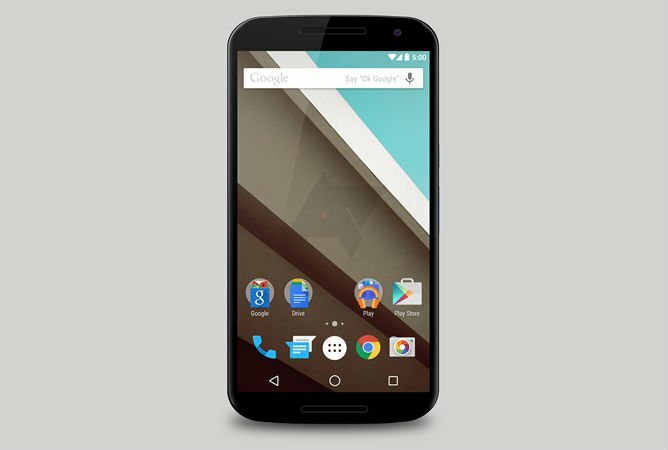 To check out all the photos (rendered and real) that we currently have of the Nexus 6, check out this post.